Buy the Multiplayer Survival Game Template now on the UE4 Marketplace HERE! 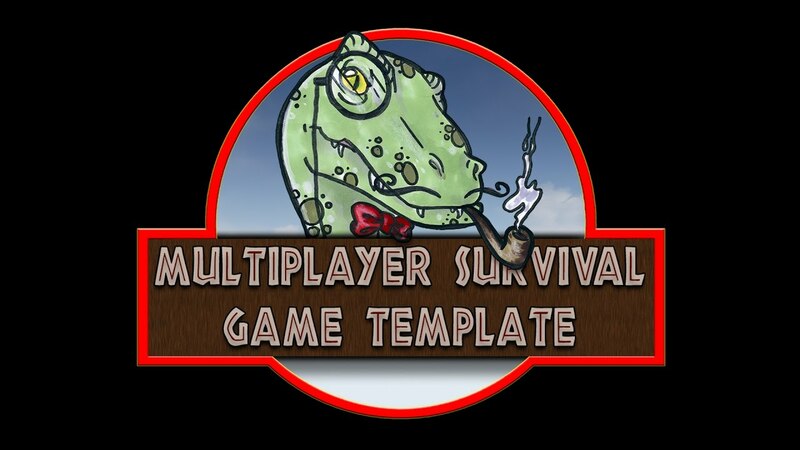 Buy the Multiplayer Survival Game Template now on Gumroad HERE! Buy the Multiplayer Survival Game Template now on itch.io HERE! Including systems to manage hunger, thirst, time of day, temperature (both body and world), health, oxygen, blood, stamina, power, poison and more, you will be able to give your players the survival challenge of a life time! Includes a full extensive graphical inventory with support for randomised loot spawning, chests, item cooldowns and more. Full documentation is being written up on a wiki-based website, and an extensive future roadmap of features is planned for updates. All blueprint logic is extensively commented and easily laid out for learning and understanding. There's never been a better time to jump on board and buy the original Survival Game Template! Advanced movement mechanics such as crouch, prone, sprint, etc. Please note that whilst it is possible to add this to an existing project with a little work, it is intended to be a template as a basis for starting a new project. For more info visit http://survivalgame.site (being updated as time allows). All artwork included are intended for demonstration purposes only. Click on the thumbnails for the full screenshot (opens in new tab). Last edited by apoisonedgift; 09-03-2017, 01:41 PM. good to see you got it made m8, hope it does well for you. Looks interesting for sure. How about weapons and building & crafting? Inside it is a basic system for weopons, you can create different types of weapons through very easy functions. Crafting is not in there, but you can easily integrate that since the mainsystem is very modular. fixed with help from author! Yee this is totally awesome! And it is completly beginner friendly, you just place the master bp in your game and reference it in your player and off you go :3 You can modular shut off things you dont need so everthing is optional! This whole things is modular and comes without any dependencies in one single folder! I have bought an AKS74U from Marketplace/Ironbelly. I have added it to project. How can I add it as pickup item and equip as gun with functionality? I am new to UE so please guide or refer to a good tutorial. Thanks in anticipation. Last edited by NomanShah; 01-21-2016, 10:06 AM. Hey NomanShah. If you check out this playlist https://www.youtube.com/playlist?lis...jTkBsiPf229if3 on my YouTube channel, there is a few tutorials already up, including one on how to make a new pickup. It's not for a weapon pickup technically, but you should be able to work it out from that one I'd say. Give that a go and if you run into issues, let me know You could also look at the gun pickup included and work from there. That one is PI_UE4Gun. Hey! Just wanted to say this looks brilliant! I'm tempted to buy it on gumroad but I prefer to buy items through the Marketplace.. hoping for a release date soon! Great work! Been playing around with this for a couple days now. Is there an ETA on the documentation?